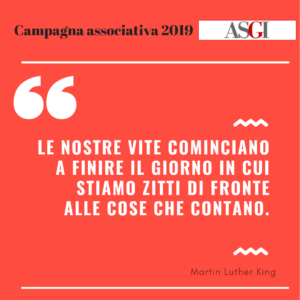 The country report on Italy is online.This update was written by Caterina Bove of the Association for Legal Studies on Immigration (ASGI), and was edited by ECRE. The information in this report is up-to-date as of 31 December 2016, unless otherwise stated. “As illustrated in the country reports on Hungary and Bulgaria the Eastern border Member States of the European Union have become trendsetters in disturbingly ‘creative’ measures disregarding the fundamental rights of those seeking protection. Europe’s Southern borders are also a laboratory for deflection policies, with the ‘hotspot’ transformation of Italy’s asylum system raising grave concerns,” says Minos Mouzourakis, AIDA Coordinator at ECRE. Reception conditions in Italy remain the central challenge facing the Italian asylum system. Over 75% of the refugee and migrant population were hosted in temporary reception centres (CAS), where conditions present serious concerns and generally remain unsuitable for longer-term stay. Despite steady decrease in previous years, detention practices are increasingly resorted to, not least under the EU’s hotspot approach. Italy has recently committed to reactivate existing and create additional Identification and Expulsion Centres (CIE) across the territory, as well as issuing detention instructions targeting specific nationalities such as Nigerians. 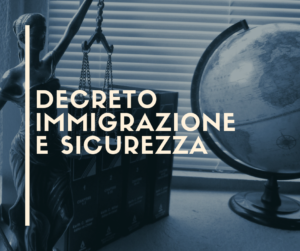 At the same time, Italy has introduced reforms to curtail crucial rights in the asylum procedure by abolishing the Court of Appeal as a second judicial instance in asylum cases, while restricting the possibility for an applicant to be heard by the court. Read the full country report here. The Asylum Information Database (AIDA) is coordinated by the European Council on Refugees and Exiles (ECRE). It aims to provide up-to date information on asylum practice in 20 countries. This includes 17 EU Member States (AT, BE, BG, CY, DE, ES, FR, GR, HR, HU, IE, IT, MT, NL, PL, SE, UK) and 3 non-EU countries (Serbia, Switzerland, Turkey) which is accessible to researchers, advocates, legal practitioners and the general public through the dedicated website www.asylumineurope.org. The database also seeks to promote the implementation and transposition of EU asylum legislation reflecting the highest possible standards of protection in line with international refugee and human rights law and based on best practice. The first report and four subsequent updates were written by Maria de Donato and Daniela di Rado of the Italian Council for Refugees (CIR).